So we’re now in a very unfamiliar place, 650 km below the Earth’s surface. But to make us feel at home, another familiar structure pops up. 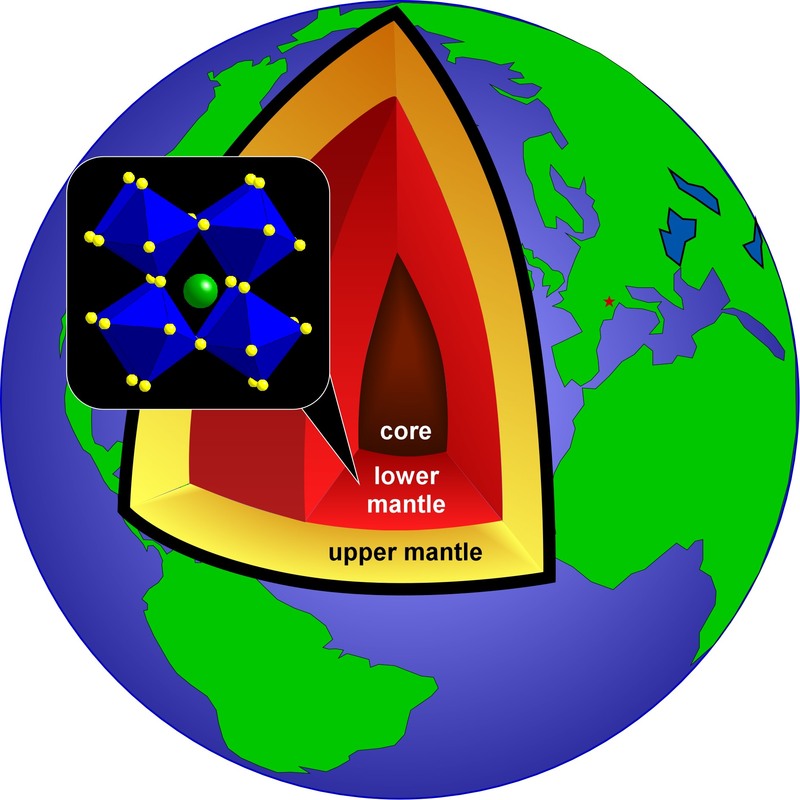 At this point in the Earth’s interior the pressures and temperatures are such that our original planet-forming material olivine is transformed to a perovskite structure. Each of the silicon atoms are now bonded to six oxygen (yellow in the picture) atoms and form the blue octahedra. The magnesium and iron (shown by the green atoms in the picture) sit in between these. This silicate perovskite structure is #9003456 in the open crystallography database. This entry was posted in Mineral Structures and tagged high-pressure, MC, Mineral, Planet building, Polymorph, silicate by crystallography365. Bookmark the permalink.